I live on Planet Earth…will I be included? Australia, Austria, Belgium, Bulgaria, Canada, Croatia, Cyprus, Czech Republic, Denmark, Estonia, Finland, France, Germany, Greece, Hungary, Ireland, Italy, Japan, Latvia, Lithuania, Luxembourg, Malta, Mexico, Netherlands, New Zealand, Norway, Philippines, Poland, Portugal, Russia, Singapore, Slovakia, Slovenia, Spain, Sweden, Switzerland, Taiwan, Thailand, United Kingdom (UK) & United States of America. What if my country isn’t on that list? If we had it our way, everyone would have access. But unfortunately, transactional laws vary from country to country, and in some places, our platform just isn’t supported. Will it be added to the available countries list in the future? Maybe! We are constantly working to add more and more locations to our list. So if you don’t see your country right now, stay tuned, it could be added in the future. Keep an eye on our FAQ to see if your area has been added. We love all our Cachers from around the globe! It’s the support of our fellow gamers that lead this revolution. 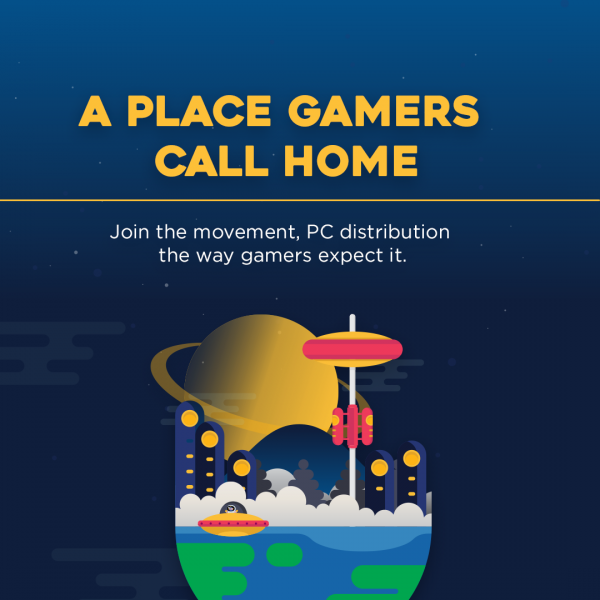 Together, we can change game distribution for the better! Check out what we’ve been doing for the past year and don’t forget to sign-up to gain access once we launch!